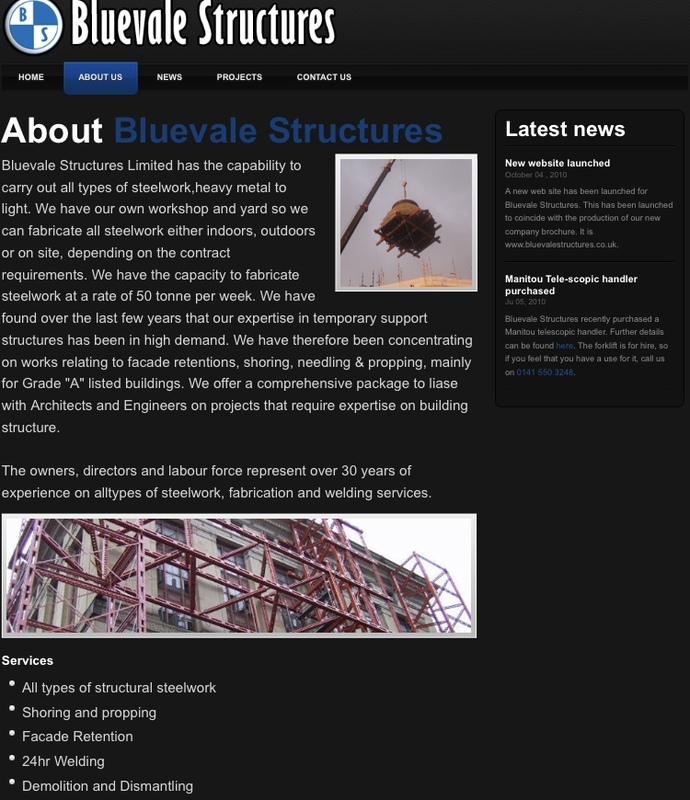 Blue Vale Structures in Glasgow are a facade retention and building clearance specialists. They have been in the same building in the East End of Glasgow for decades and are one of the main employers in the area, working or some major players on high profile projects throughout Scotland. 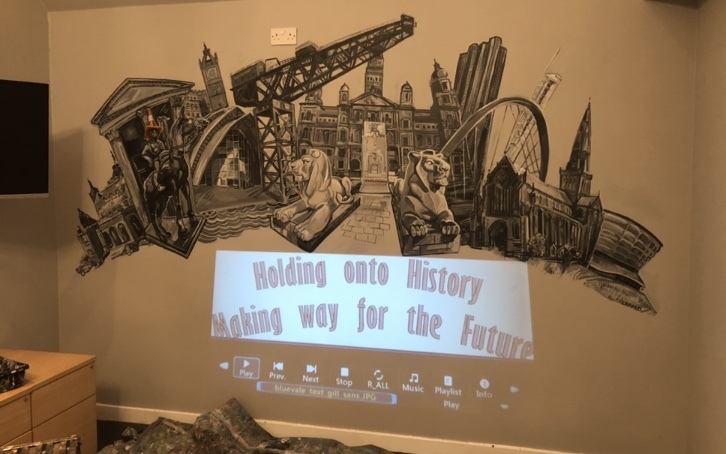 They wanted to smarten up their board room and bring some fresh horizons to the space, the brief being that it had to add depth and interest to the room, reflect their Glasgow heritage but not be gaudy. There are big money deals done in the room so it had to look classy. 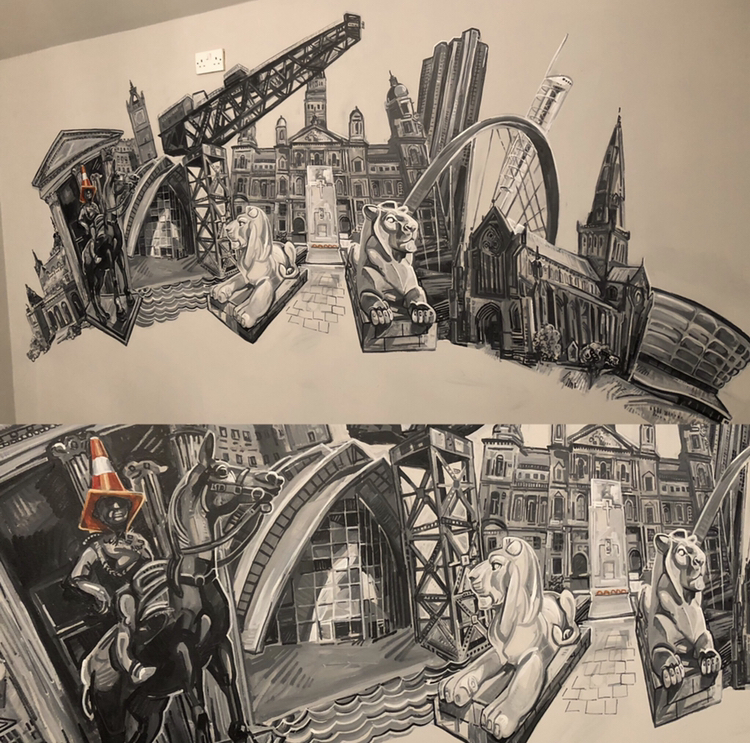 We decided to do a greatest hits of Glasgow architecture, I did them a drawing and was three days on site producing the mural. The painting had a very limited palette, just a shot of orange on the Duke of Wellingtons cone hat for a bit of humour. 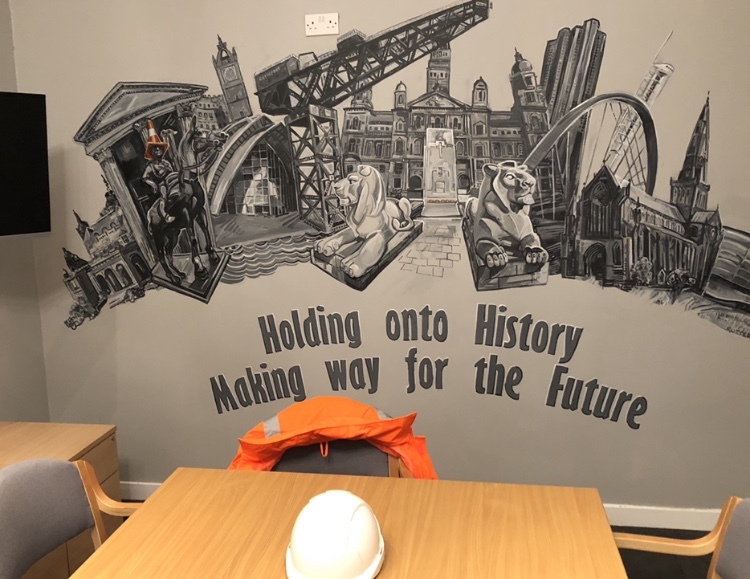 On this job i was also asked to do a bit of copywriting, i came up with a new motto for the company that reflected what they did and rendered it under the mural. i think the current plan is to start using the motto on the side of their trucks now too. I have plenty of time to think about things like this when I’m painting. The new space has the classy feel they were after and is making them look classy, affluent and forward thinking. Fingers crossed it helps Blue Vale go from strength to strength.